Located out of Holgate, Ohio, NotForgotten is Frontman - Kevin Leach, Drummer - Brandon Tijerina, Bassist -Danny Leach, and newest member and Guitarist – Adam Delaplane. A lot has happened since my last interview with Notforgotten back in 2009. 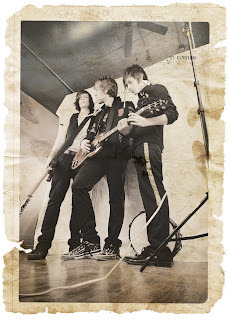 Since then, NotForgotten has undergone a lot of changes including the new addition of guitarist, Adam. Not only have they expanded, they’re sound has matured and transformed from something that was forgettable, to a something absolutely worth remembering. 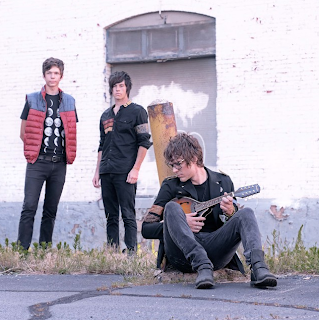 One of their fan favorites off the new EP entitled, The Other Side, is a song called, “You’ve Got Someone to Hold You”. They had an idea to release this song on Valentines Day, and boy, it turned out to be the best idea thus far. Not only is it one of the best songs, it surprisingly caught a lot of attention and has catapulted their popularity and has grown their fanbase. While this EP is only four songs in length, it is but a sample of what’s to come. The band has been traveling across country and they’re headed to Los Angeles to shoot their first music video. And, they are nominated for Best Rock Band and Best Pop Artist.